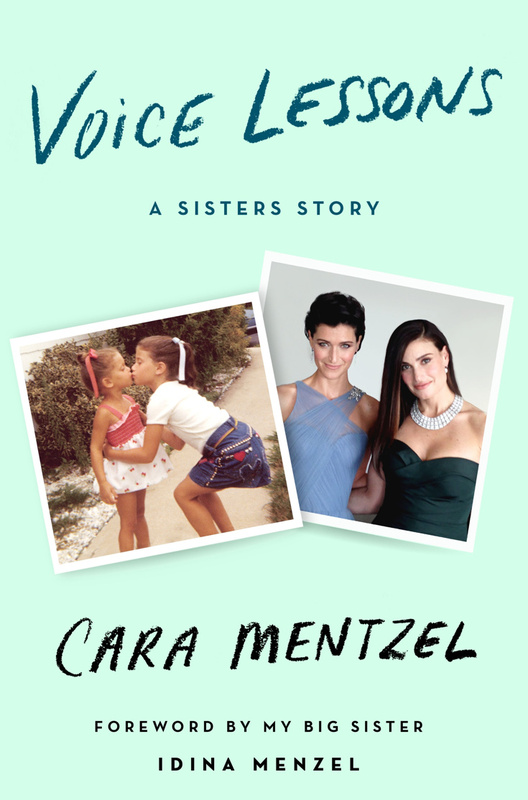 Cara Mentzel, little sister of Wicked Tony winner Idina Menzel, is at work on a new book about their sibling bond! Voice Lessons: A Sisters Story is set for publication by St. Martin's Press on October 10. "My big sister is Tony Award-Winning, Gravity-Defying, Let-It-Go-Singing Idina Menzel who has received top billing on Broadway marquees, who has performed for Barbra Streisand and President Obama, at the Super Bowl and at the Academy Awards," says Mentzel in a press copy quote. "The world knows her as 'Idina Menzel,' but I call her 'Dee.'" We'll be counting down the days until we can indulge in the new tell-all! Gerard Alessandrini’s hit musical parody Spamilton celebrates a rollicking one year of performances today! The musical began as a limited engagement at the Triad Theatre on July 19, 2016 and now plays an open engagement at the Puerto Rican Traveling Theater. Spamilton marked a triumphant return to the off-Broadway scene for Alessandrini, who is known for the wildly successful Forbidden Broadway. We can all breathe a big sigh of relief! Paige Davis, who first won over America as the host of TV's Trading Spaces and has since wowed Broadway audiences in Chicago and Boeing-Boeing, will return as host for TLC's 2018 Trading Spaces reboot. The adorable Davis broke the news today in a cute-as-heck video. Broadway veteran and DC mainstay Florence Lacey is set to play Madame Armfeldt in Signature Theatre's upcoming production of Stephen Sondheim and Hugh Wheeler's A Little Night Music! Holly Twyford will make her Washington DC musical-theater debut in the lead role of Desiree Armfeldt for the production that is directed by Signature Theatre Artistic Director Eric Schaeffer and is set to run from August 15-October 8. Night Music will also star Bobby Smith as Frederik Egerman, Nicki Elledge as Anne, Will Gartshore as Count Carl Magnus, Sam Ludwig as Henrik Egerman, Anna Grace Nowalk as Fredricka, Tracy Lynn Olivera as Countess Charlotte Malcolm, and Maria Rizzo as Petra. The ensemble is rounded out by Susan Derry, Maria Egler, Benjamin Lurye, Quynh-My Luu and Kevin McAllister. Casting is set for Darling, Grenadine, a new musical with book, music and lyrics by Daniel Zaitchik, set to debut with Goodspeed Musicals. Broadway veterans Emily Walton and Bryan Fenkhart will lead the cast of the musical that explores the friction between romance and reality. The cast will also include Ben Mayne, Danyel Fulton, Nikko Kimzin, Leah Sprecher, Kevin Zak and Phillip Huber. Darling, Grenadine will run from August 18-September 17 at Goodspeed's Terris Theatre in Chester, CT.
Mary Poppins is currently back onstage with Alabama Shakespeare Festival, and the cast is having some fun! Alice Sherman, who plays the title role, teamed up with her Bert, Broadway veteran Bret Shuford, and other cast members, to offer a spoonful of sugar to a Poppins-infused Carpool Karaoke. Check out the team below and book your trip out to Alabama to see them live through August 6!